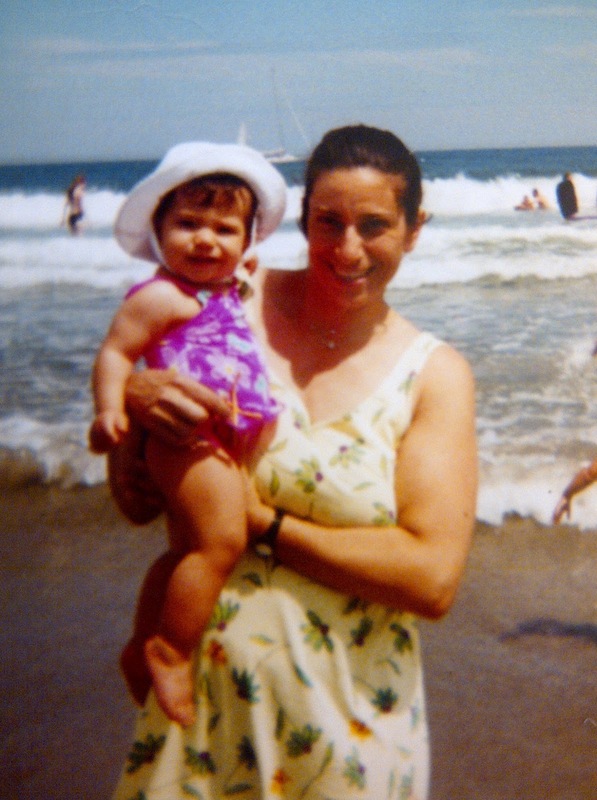 8 month old Katherine with me on Narragansett Beach. I couldn’t resist taking a different route today, as I perused my journal. I am doing a double duty share today! I came across the entry (brief and light!) 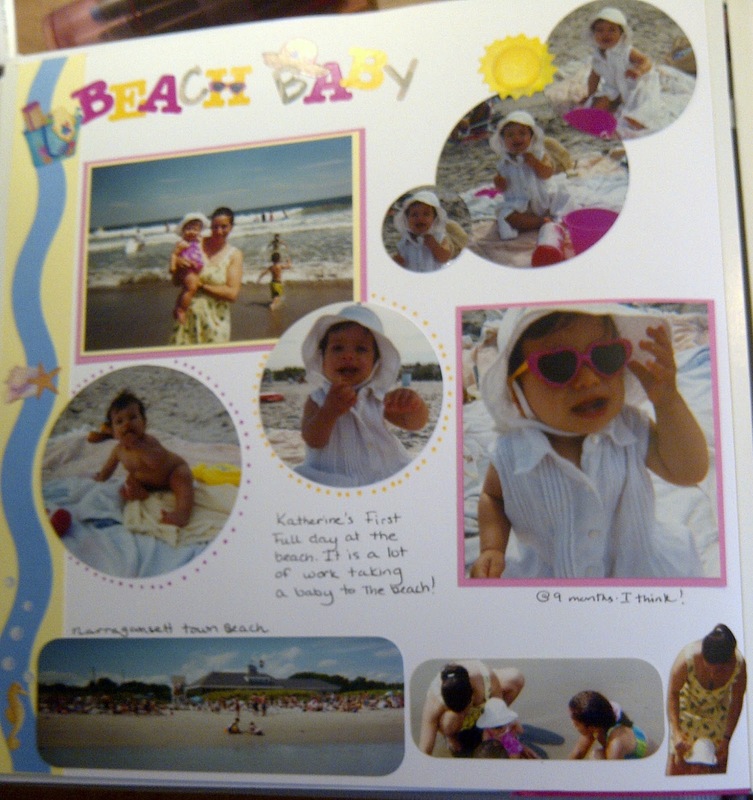 about my daughter’s first full fledged beach outing. As someone who used to grab her beach towel, journal (of course) and one measly beach bag- I was shocked by how much work it was as a new, first time mom to have a simple day at the beach! share that as well! Kind of gives an “In front” and “Behind the scenes” perspective! of beach going with baby! You know writing when she was young sometimes meant brief entries. I actually have a few where I fell asleep writing. The pen just sort of trails off. I will share it next link-up or the week after! But I thought a light, fun, Summer entry might be a refreshing change of pace. A quote I recorded and saved a few pages away. So true–the whole thing: the sweetness of all those “new things” they experience, and the difficulties of getting them there. 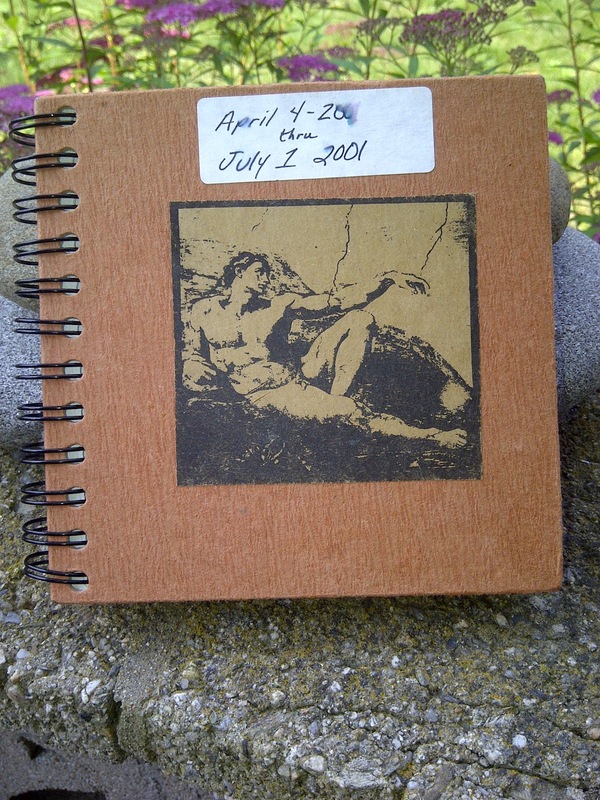 My journals from my kids' early years also have spaced-out sparced entries. I often found myself in the shower praying for grace toward my children and pleading His mercy for my inadequacies. Thanks for the sweet memories. Have I told you lately how I love doing this? Reading others' journals, reading my own. So so cute! What a good mommy you were and are! The stuff we had to carry was crazy huh? I love this lighter entry, seems we are on the same wavelength.I am so hungry for some beach time! Your page is my stay-cation! Ha!